How is it almost the middle of January already?! The good thing about annual goals is you have 52 weeks to take small steps towards achieving them each year. Hopefully, by the end of those 52 weeks, you will see a transformation. Last week was one where baby steps helped to move me forward. How about you? Goal 1: Designate one day each month to make extra meals for the freezer. We got a minimal amount of snow over the weekend. Because we were expecting more snow on Sunday, I decided to stay home for the entire day. Staying home allowed me to do my weekly meal prep and roast two chickens. While I didn’t do an actual meal prep day for the freezer last week, I did cook enough broth to use in making soup later this month. Plus, I bought extra ground chicken to make chicken sausage patties. I froze some of the patties to use for quick “breakfast for dinner” meals. I’ll share the recipe later this week. Goal 2: Create weekly meal plans that incorporate adequate amounts of potassium, magnesium, and calcium-rich foods. As I track my meals and nutrients every day, I see that choices for snacks are essential to helping achieve recommended potassium and magnesium levels. Last week I took a banana to work on Tuesday or Wednesday, and it sat on my desk until I finally ate it on Friday. Bananas are high in potassium and have magnesium too. I usually eat one as a snack at work. This week I’ll be a little more intentional about eating both the banana and apple that I take to work every day. You can see last week’s meal plan here and check out this week’s plan here. Goal 3: Eliminate store-bought bread, croutons, tortillas, and flours by learning to use our new grain mill and bread maker. I intended to use the grain mill to grind flour for banana bread. Not eating as many bananas as I hoped last week left us with two perfectly good bananas with which to make banana bread. Until that is I discovered Dan ate them the morning I planned to make the bread! Oh well, I’m sure there will be more ripe bananas by next weekend if I buy a few in the middle of the week. Goal 4: Plant a garden. My garden is covered in snow. What does your garden look like right now? Goal 5: Determine items and amounts to focus on preserving. I didn’t get to this goal last week. Hopefully, I’ll review what’s in my pantry later this week and then start working on my 2019 plans. Goal 6: Design and stitch 6 cross stitch patterns and 6 rug hooking patterns to sell on Etsy. One night after work I drafted a valentine design. I need to finalize it and start to stitch it this week. I also ordered wool that was on January clearance last week! I’ll use some of it to hook the rug models later this year. Goal 7: Open a vintage resale shop for classic kitchenware and sewing notions. I didn’t do anything on this goal last week. Goal 8: Read or listen to 42 books. Last week I finished reading The Essential Home-Ground Flour Book by Sue Becker. The book walks you through the history of milling, health benefits and nutrition of home ground flour, the basics of baking with flour and the different flour types. If you are considering milling your own flour this is one of a few books I highly recommend. As an added bonus the book includes recipes using the various types of flour. I also started listening to Killing England by Bill O’Reilly and Martin Dugard on my commute. I love to learn about history and have enjoyed listening to his other books in the series. Do you use the Goodreads app to track your books? If not, it is a great tool for keeping track of the books you own, what books you’ve read and which ones you want to read in the future. I’ve been using Goodreads since 2009 because it helps to keep my reading life organized. Goal 9: Learn crewel embroidery and complete one project. For my birthday I ordered The Royal School of Needlework’s Book of Embroidery. It is filled with detailed information on how to work every type of embroidery stitch you can imagine including specific crewel embroidery. I can’t wait for the next snowy weekend to sit down to read and work through the book. Dan also got me Threads of Useful Learning for my birthday. This book is filled with beautiful sampler designs from a Delaware school. For Christmas, I got a subscription to Bluprint. 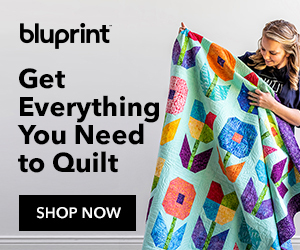 Bluprint replaced Craftsy last week as an online tool where you can get classes taught by experts, purchase supplies and collaborate with other makers. Whether you have experience or are a novice they offer all different types of classes from needlework to baking to woodwork. Bluprint’s patterns range from simple projects you could do in an hour or two to more complex ones. Between the Royal Needlework book and my online subscription to Bluprint, I should be able to learn crewel stitches and finish a project. Goal 10: Make and finish homemade Christmas gifts for family and friends by Thanksgiving. I didn’t make any progress on this goal last week. Goal 11: Enjoy a monthly date with Dan. We are going to see the Baltimore Blast play the Harrisburg Heat later this month assuming the snow holds out. Slow down and be intentional with my time, my life, and my diet. It is very apparent that if I am not intentional with what I drink I will not drink enough water each day. This week I’ll focus on drinking the 32 ounces of water I take to work every day, plus what I would normally drink at home. Does anyone else get so busy you forget to drink?